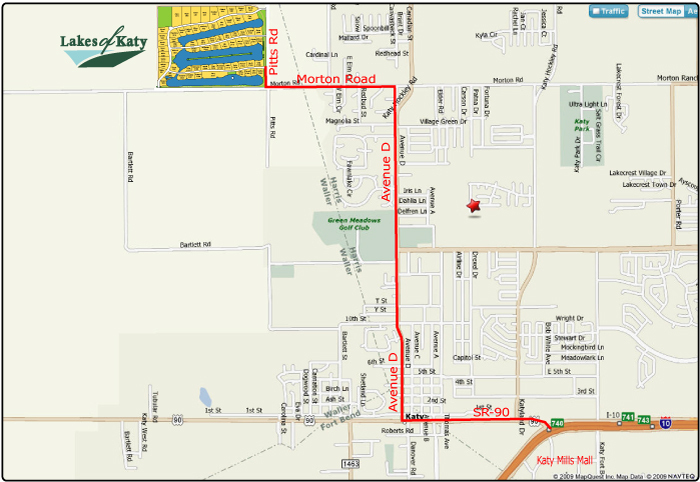 The Lakes of Katy is located 30 miles west of downtown Houston, Texas, about 5 minutes North of Interstate I-10. Turn Right (North) onto Pitts. Main Entrance of Lakes of Katy will be approx 300 ft on your left.